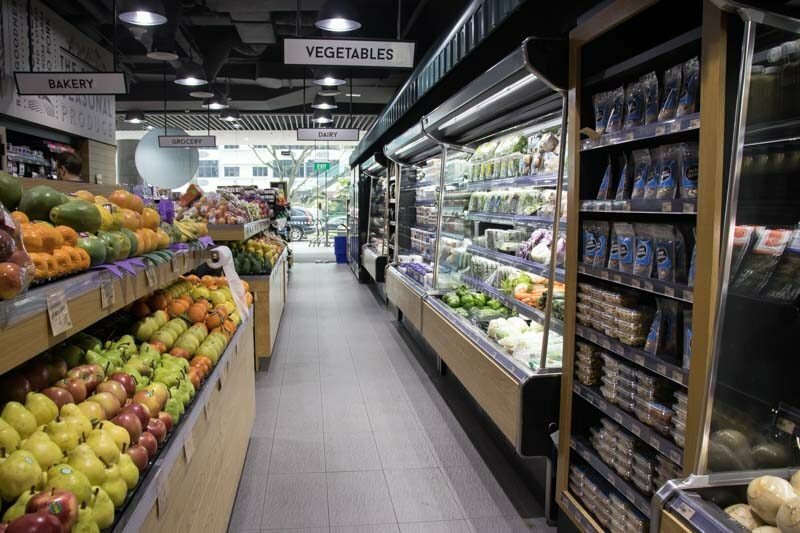 With health food becoming more popular in recent months, Little Farms Cafe located in Valley Point will be your next favourite one-stop shop. 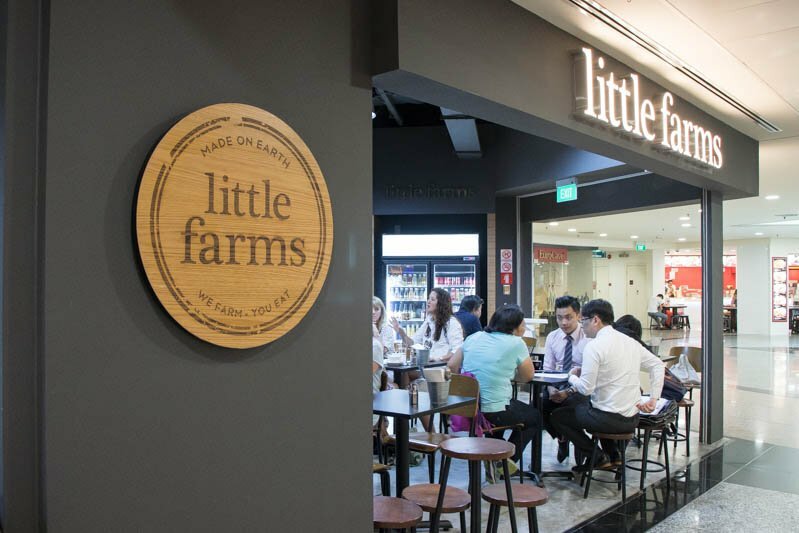 Little Farms is a market and cafe concept ironically situated opposite Fairprice Finest. Everything sold at little farms is grown using organic farming methods, and so may cost a little more. Since every item on the menu at the cafe only uses ingredients at the market, it means that it’ll also be pricier than normal. But you’re really just paying for the quality and let me just say that it’s worth it. The menu changes daily depending on the supplies they receive, so you’re in for a surprise every time you visit. They receive their shipment from Europe at the end of every week, so the cafes weekend offerings will be more varied and interesting than the regular weekday offerings. If you want to find a day to make the trip down, I’d recommend going on Saturday when you’ll get to try most of the European fare. Of course, there are items which are permanently on the menu and are also worth trying. 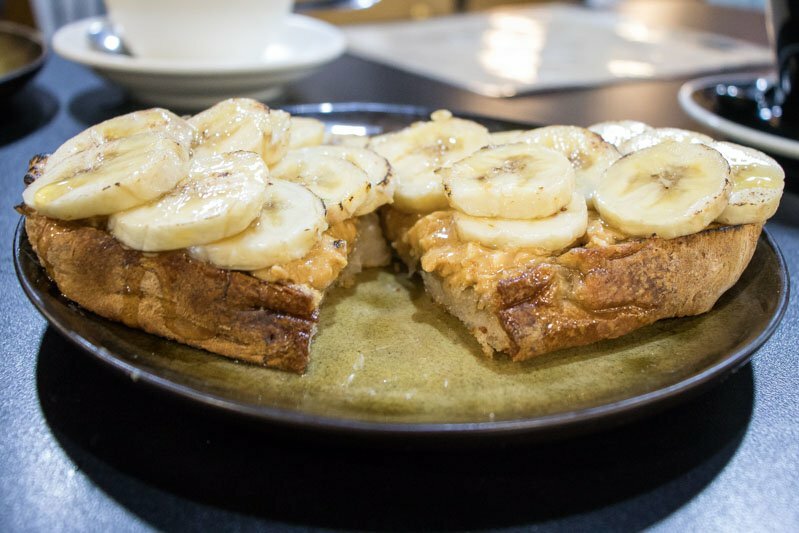 One of which is the Nutty Banana Toast ($7), an ensemble of sliced Australian bananas on top of chunky peanut butter spread on a chewy sourdough bread. 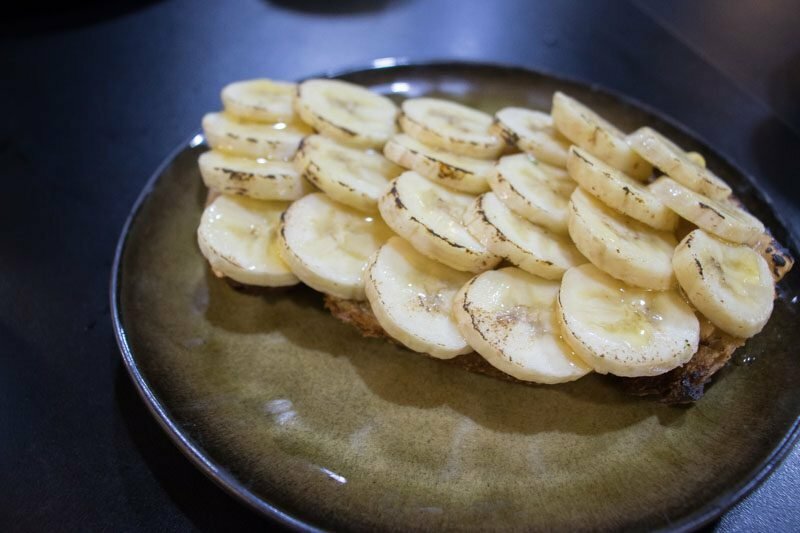 The highlight would probably be the Tasmanian honey drizzled over the bananas, making the toast that much more special. The Byron Bay peanut butter, available at the in-house market, was fragrant and not too sweet so you could taste the natural flavours of the peanuts. The sourdough bread may have been slightly difficult to cut into, but we liked its chewy texture so much it was something we felt could be overlooked. 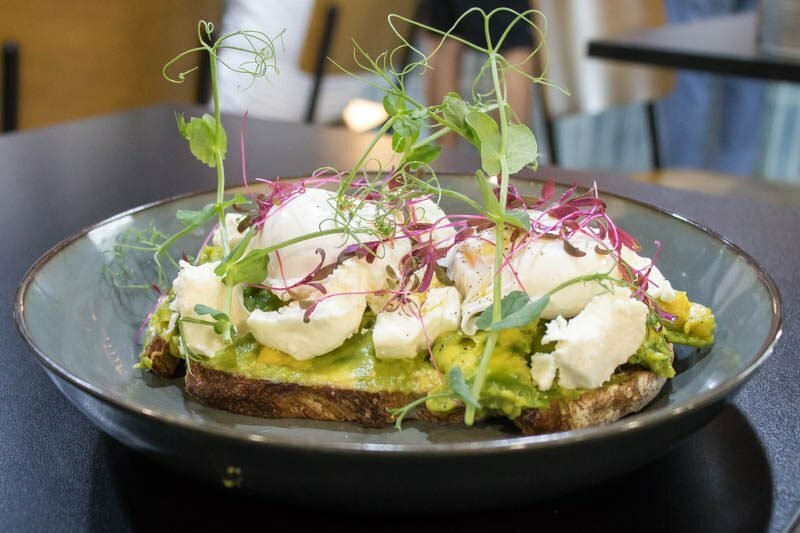 Another toast we tried was the Smashed Avocado ($15), comprising of roughly mashed avocados, two perfectly poached eggs, and bits of marinated feta. The base was made up of the same chewy sourdough bread, which was a plus for us. The feta cheese here had a stronger tangy taste as compared to regular ones that I’ve tried before and may be a put off to some. 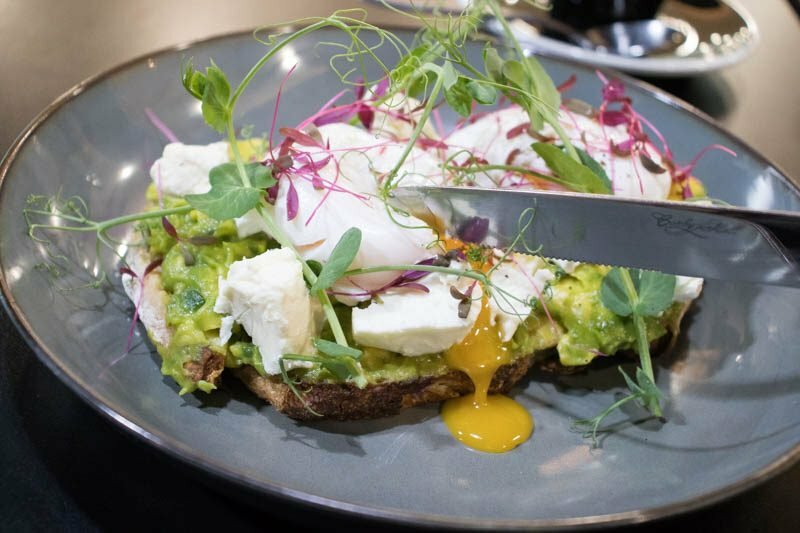 Initially, I thought this dish would be a great option for a light brunch, but after getting to try it, I found that it was more substantial than it seemed. 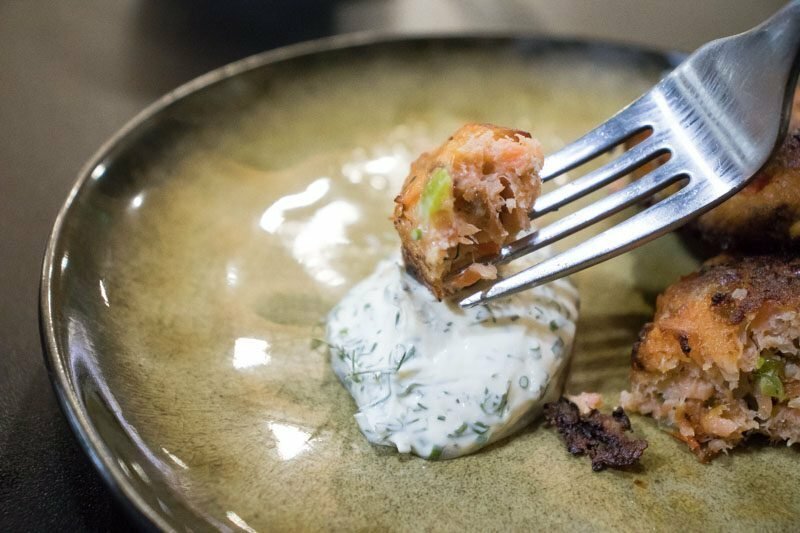 While you’re here, do keep a lookout for the Salmon Cakes (2 for $10), which come by once in a while. These sides are accompanied by a refreshing dollop of Crème Fraiche mixed with dill and chives. 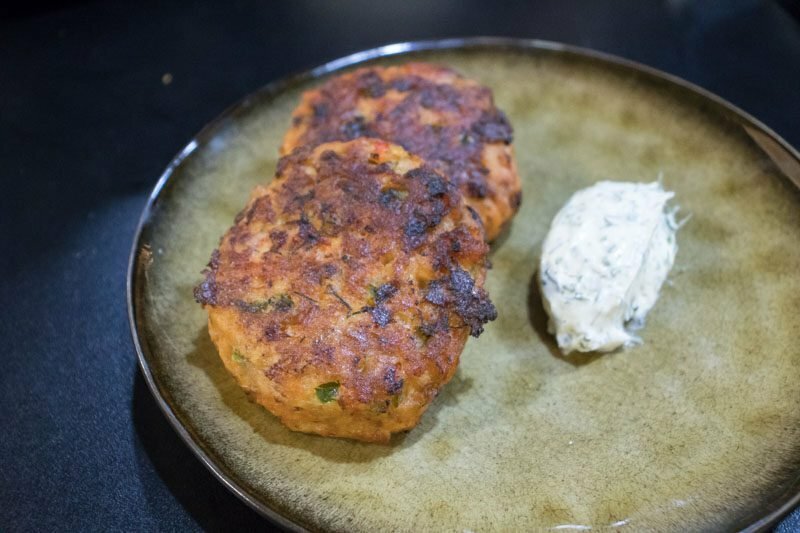 These salmon cakes were juicy and flaked apart when prodded with a fork. While they may cause a bit of a mess they don’t disintegrate completely into a pile of salmon flakes. Do note that these are made with smoked salmon and tend to be on the salty side. The Crème Fraiche provided helped to cut through the flavours, but even then, it may be a feat to finish it all by yourself. We were almost bursting at the seams by the time we got to dessert, but we loved sweet treats too much to forgo some. 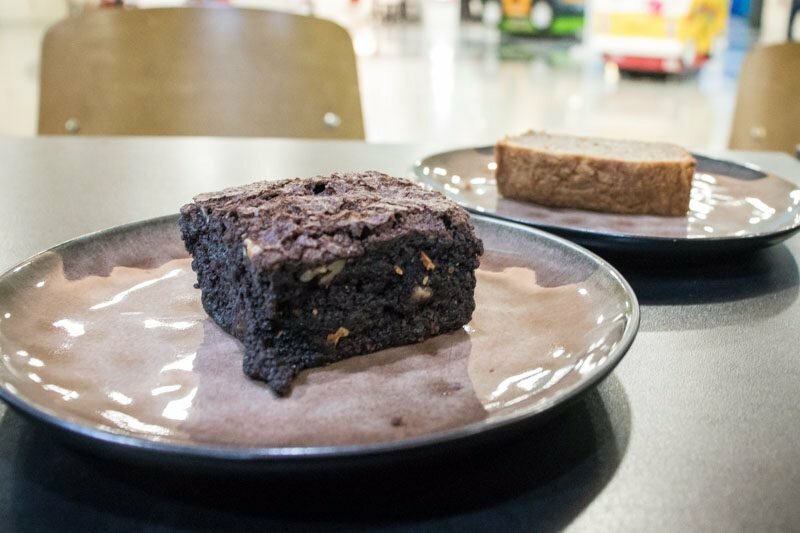 The Homemade Banana Bread ($6) and Dark Chocolate Slice ($7) were both gluten-free, and people with stricter dietary requirements can also dine here. Both desserts were super rich and came in pretty large portions, so unless you’re here just for desserts, we’d recommend sharing. Drinks sold at the Little Farms cafe are also pretty interesting, ranging from tea to smoothies. 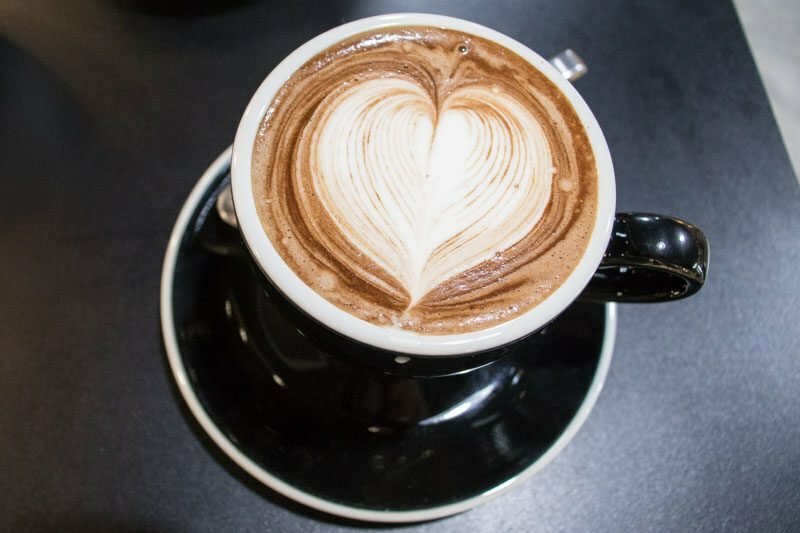 The Hot Chilli Chocolate ($5, Iced: $5.50) is great especially on a cold rainy day, as it’ll warm you up from the inside. The chilli isn’t too spicy, but it still gives a subtle kick at the back of your throat. 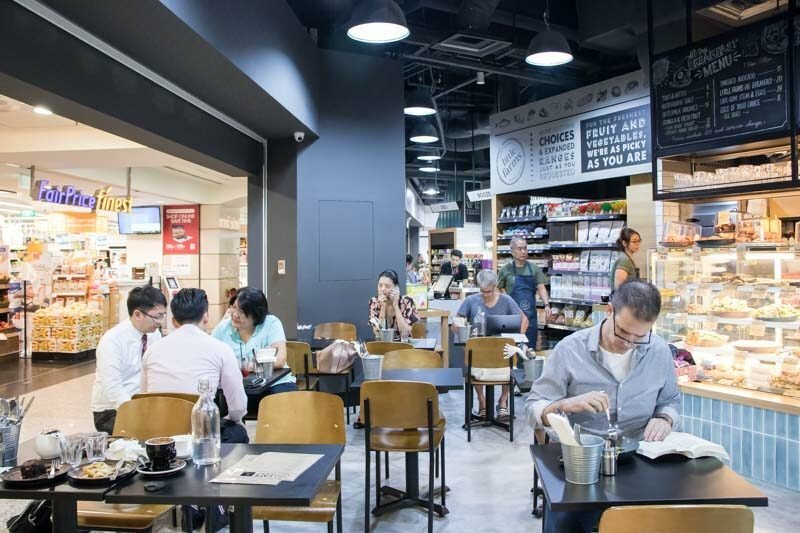 Born from the demand by customers, this cafe tends to get pretty crowded but the waiting is worth it especially if you enjoy a healthy meal made from quality ingredients. Alternatively, they’re opening a new takeout branch at United Square Shopping Mall, which offers a part of the menu available at the Valley Point outlet. Either way, get yourself some of this goodness from the Little Farms Cafe.